» Review: JOHN R. FEEGEL – Autopsy. Review: JOHN R. FEEGEL – Autopsy. JOHN R. FEEGEL – Autopsy. Avon 22574. Paperback original, 1975. When a Florida tomato salesman apparently commits suicide in a second-rate Connecticut motel, the insurance company naturally refuses to payoff, and off to court they go. A lot of book is summarized in that one line. Feegel is both a lawyer and a practicing forensic pathologist, quoting from inside the back cover, and he lovingly fills in all the clinical details of embalming, funeral procedures, exhumations and so on that any of us would ever want to know. His courtroom expertise is equally evident, but may I say that the insurance company’s defense attorneys do a hopelessly inadequate job, and that’s a tremendously difficult premise to swallow. � From The MYSTERY FANcier, Vol. 3, No. 3, Mar-Apr 1979. [UPDATE] 07-22-07. It�s far too late, I know, but I�ll issue the author an apology anyway for misspelling his name as �Fleegel� throughout this review, and it’s been corrected. I also said earlier that I wouldn�t change anything in these old reviews, but in this case I overruled myself and made an exception, as you�ll see above. “John R. Feegel, a Florida medical examiner who became an award-winning novelist, died on Sept. 16, 2003. Cause of death was not released. He was 70. “The son of a police officer, Feegel grew up to become a forensic pathologist, a trial attorney and the chief medical examiner in Tampa. He performed thousands of autopsies; the death of Elvis Presley and Atlanta serial killer Wayne B. Williams were two of his most famous cases. 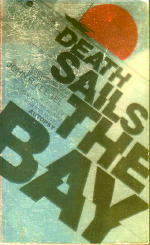 o Autopsy (n.) Avon, pbo, 1975.
o Death Sails the Bay (n.) Avon, pbo, 1978.
o The Dance Card (n.) Dial Press, hardcover, 1981. Avon, pb, 1982.
o Malpractice (n.) New American Library, hardcover, 1981. Signet, pb, 1982.
o Not a Stranger (n.) New American Library, hardcover, 1983. Signet, pb, 1984. [Later.] I’ve just noticed that the obituary said that John Feegel wrote seven mysteries, but Al Hubin lists only five. Hmm. That’s something that should be looked into. o Eco-Park: The Al-Hikma Legacy (n.) Authors Choice Press, softcover, March 2001.
o Death Among the Ruins (n.) Writers Club Press, softcover, September 2002. [UPDATE] 07-23-07. In my original post I included a comment that cover images for Feegel’s books were difficult to come by. The only one I could find yesterday was the one for Malpractice. In this morning’s email Bill Crider, whose supply of old mystery paperbacks is nearly endless, sent me two additional ones, both of which you now see here. Unfortunately the silver reflective covers don’t scan well, so the results are not up to either Bill’s or my standards, but I think they will do. Not being a fan of forensic details myself, it hadn’t occurred to me before, but I really think that Bill is onto something here. I used to work for Dr. Feegel in the mid 80’s. I was a receptionist at the Law Firm of Mitzel, Mitzel and Feegel PA in Tampa, FL. I thought highly of him. He was quite the character. I do have 2 signed books, Death Sails the Bay and Autopsy. Sad to see he passed away. Can still smell the smoke of his Cuban Cigars!